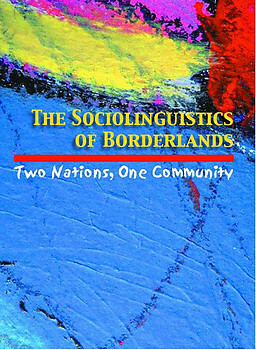 The central objective of this book is to explore the complex link between language and identity in borderlands using a sociolinguistic framework of analysis. Specifically, the book focuses on the ways in which colonial boundaries affect community, ethnic and national affiliations and the social and political dynamics of choosing from multiple identities in such a context. Omoniyi argues that the existence of multiple identities on a border means that its inhabitants are continuously negotiating whom they are and how they want to be perceived. How outsiders perceive them, he notes, will depend on the interpretation and evaluation of those sociocultural features, which set their community apart from others. The resulting variation in language behavior mirrors identity differences between different border communities as well as between the component subgroups at a particular border. Using an analysis of macrosociolinguistic variables, Omoniyi defends these claims and engages with other fascinating related issues. The Sociolinguistics of Borderlands will be an invaluable resource for undergraduates, postgraduates, and academics interested in African borderlands, language and identity issues. TOPE OMONIYI is a senior lecturer on the English Language and Linguistics program at the University of Surrey Roehampton in London. He edited the special issue of the International Journal of the Sociology of Language (143) ‘Islands and Identity in Sociolinguistics: Hong Kong, Singapore and Taiwan (2000) and co-edited Nigeria and Globalization: Discourses on Identity Politics and Social Conflict (2004).